Before Internet Cats: Feline Finds from the Archives of American Art at the Lawrence A. Fleischman Gallery in Washington, D.C. Both of the London galleries are extremely considerate to out of London purchasers by showing digital images of the entire exhibition on their website - and both have a LOT of pictures. Should you feel the need to pay a visit, you can find links to Google maps of the locations of the galleries at the end of this post. Wain was a very prolific artist who constantly portrayed anthropomorphised large-eyed cats and kittens - even after being committed to hospital for mental health reasons. His work now forms part of the permanent collection of the Bethlem Museum of the Mind. 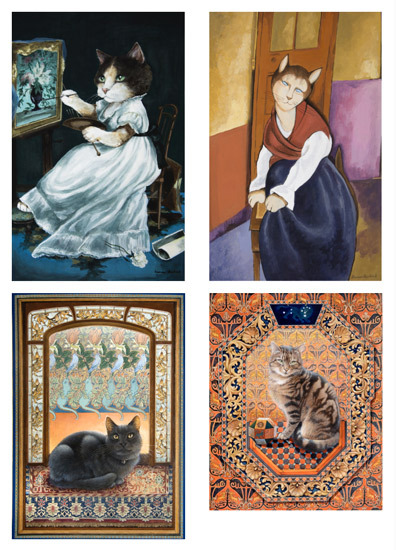 Susan Herbert -(1945-2014) who was also fond of painting anthropomorphic cats - I love Dangerous Felines and 'riffs' on famous paintings by past masters. 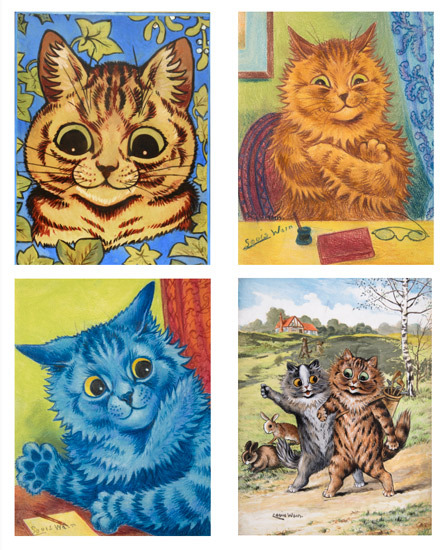 She produced a compendium of her Cat Paintings prior to her death called Cats Galore: A Compendium of Cultured Cats. You can also see a YouTube Video of her cat paintings below the image. 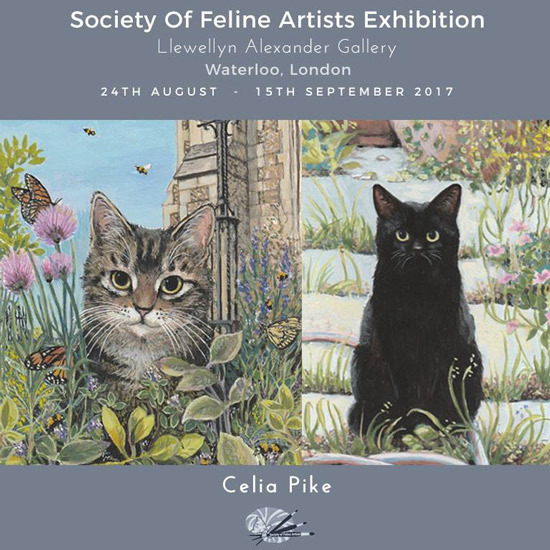 The Society of Feline Artists (SOFA) have their annual exhibition (24th of August to the 15th of September 2017) at the Llewellyn Alexander Gallery near to Waterloo Station and across the road from the Old Vic. So if you are a fan of feline art feel free to indulge! The Archives of American Art’s exhibition space is located two blocks away from their D.C. Research Center.